The following opinion piece was submitted by a Registered Building Surveyor on 6th November 2014. It appears that a Building Control Authority confirmed to the author yesterday that if one have used up the 40m2, any increase in floor area (internal) requires Long Form Commencement Notice (LFCN). This advice has also been confirmed and re-issued by the Royal Institute of the Architects of Ireland to members also (see posts to follow opinion piece). The following is provided is an opinion only & should be taken without prejudice. 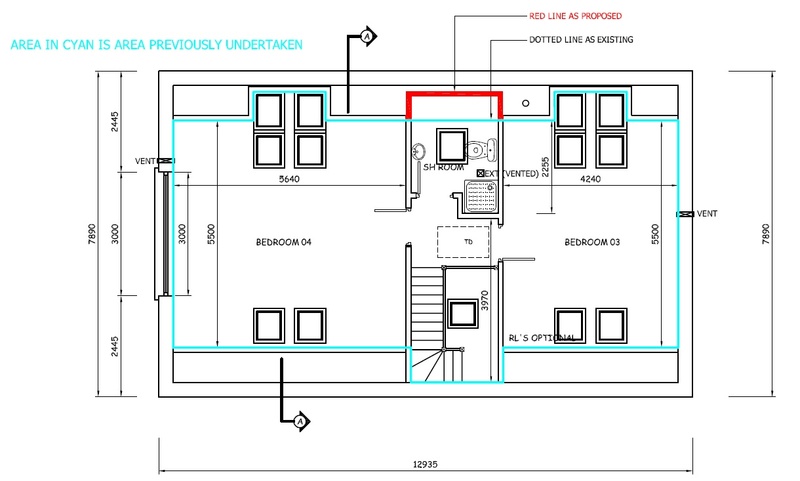 There has been a lot of confusion over the interpretation of the requirements for domestic extensions following the revision of the FAQ within the BCMS website see https://www.localgov.ie/en/link-type/bcms It is appearing very likely now that the addition of previously constructed since the house was granted planning permission/pre 1963 is cumulative. As this is the case I thought I’d provide x2 examples to when a LFCN is required. I wish to point out that a Building Control Authority has issued an opinion to me, which is similar to mine, & has confirmed to me without prejudice, that a LFCN is required for both of these examples. Works required: Existing open porch exists. It is proposed to create a draft lobby, by fitting a new front door into the existing ope. Previous Works to date: The house was extensively renovated & extended & has fully used up its 40 m2 exempted allocation. According to the FAQ issued by BCMS it is ” not possible to avoid certification requirements by building a series of small extensions each of which is less than 40 square meters but which together give a combined extended area greater than 40 square meters” Currently the open porch is an external area. By closing in this open porch with a door the area within the existing porch is now classified as an internal floor area. As it is proposed to extend the internal floor area further & this house has already fully used up its 40 m 2 exempted allocation a LFCN is required for this work. 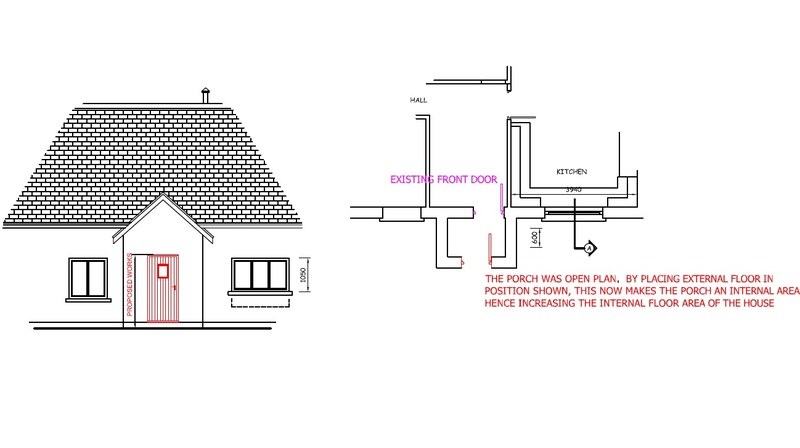 Works required: Deepen the shower room into the crawl space to increase room size by 1.2m2 Previous Works to date: The house (plans enc) was extensively renovated & extended & has fully used up its 40 m 2 exempted allocation. Note: Opinion from Building Control Department also concluded without prejudice that a LFCN is required for this particular situation. Owners may need a Certifier for a Porch? In the second example provided, One would have thought that the Local Authority Building Control authority would have been more concerned with the apparent non compliance regarding the location of the tapers/winders on the existing stairs i.e not at the base of the stairs, rather than the proposed ‘extension’ of floor area depicted in the floor plan. IMO.The ‘extension’ into the crawl space could reasonably be designed out of the equation by recessing sanitary fittings (water closet,was hand basin) in this location above floor level, thereby not necessitating an increase in the floor area. Whoever issued the advice that the 40m2 is cumulative is obviously interpreting what they “want” to be in the Regulations as opposed to what is actually “written” in the Regulations. The requirement to submit a CN is for the works covered by the notice and not for anything that may and or may not have happed decades ago. How do you justify the 40m2 allowance going back to 1963 ?? …. or is that just plucked from the sky. Given that there were no building regulations until 1992, surely if you were going to create a date, 1992 should be the start point. Or, given that these new control regulations did not come in until 2014, your exemption allowance should not start until march 2014. It would be unfair if someone used up all their allowance before the regulations were even written. ……no, the interpretation that the 40m2 is cumulative is just plain wrong and makes no sense. Where if anywhere in the regulations does it say ANYTHING about the 40m2 being cumulative ????????????? You have to submit a CN for WORKS and the CN only covers THOSE works alone. To go with this cumulative madness, if you constructed a 39m2 extension back in 1989, and now wanted to do a 2m2 extension ……. Would you have to submit all the certs of compliance etc for either ..
(b) the new 2m2 plus the 39m2 from 1989. If somehow you needed certs of compliance for the works back in 1989, how could you get them ? the builder, architect and original owner could all now be dead from old age, it being 25 years ago. 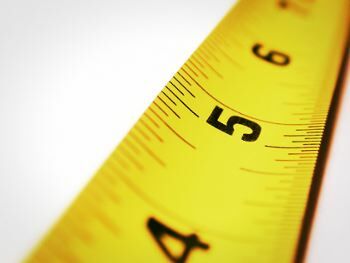 If you only needed the certs of compliance for the 2m2 ………… what would be the point ????? Obviously someone cannot build 1 new extension but “split it in half” to cheat the Regulations, but surely totally independent and separate works have to stand on their own. The CN for the works cover just the works. Situation 1. A large attic conversion (over 40m2) with no new building envelope. Two building control authorities confirmed this is not an extension at, but rather a change of use and therefore project is not subject to certification etc. Situation 2. An extension is to the side of a house has access to an “attic” space through a door ( room not in complinace with part F “habitable room”) Building control has said this is not floor area but an attic that happens to have access through a door. Therefore project is not subject certification etc.